﻿ Hawaii Bali (Indonesia) | FROM $14 - SAVE ON AGODA! Have a question for Hawaii Bali? 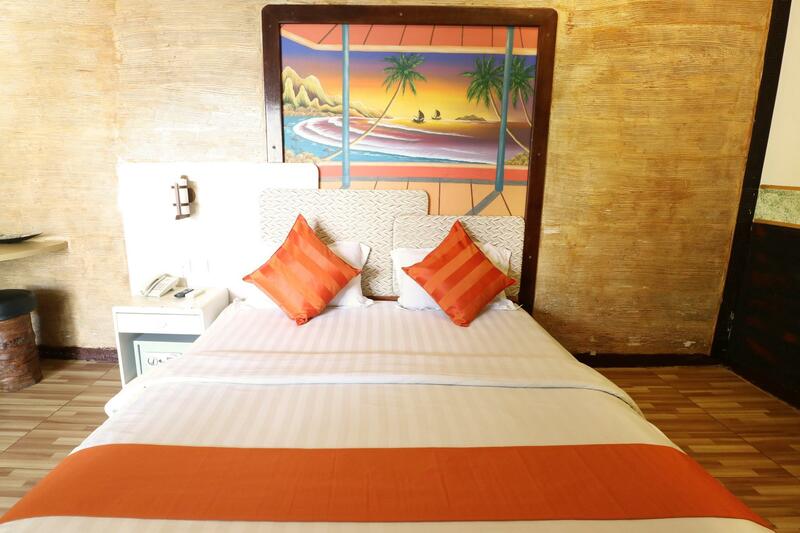 Planning an unforgettable vacation is easy when you stay at the Hawaii Bali. 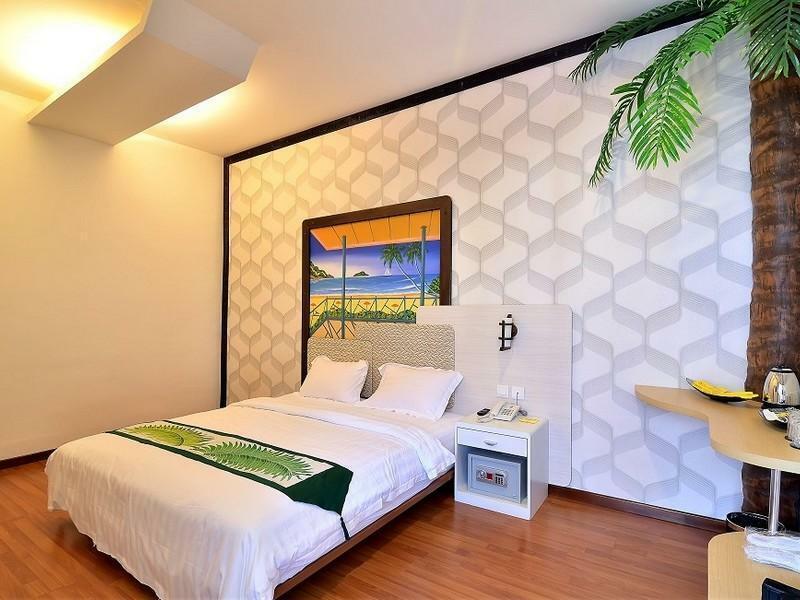 The property is near Plaza Bali Duty Free, Circus Waterpark Kuta, Pabrik Kata Kata Joger, Supernova, and Cempaka Bali. It offers numerous facilities for guests to enjoy, such as a garden, a spa, ticket services, a nightclub, and an outdoor swimming pool. Equipped with family rooms, it offers adequate space for your whole family to lounge around together. The Hawaii Bali features a bar, restaurants on the property, a coffee shop, and room service, so there is an assortment of dining and snacking choices. It has numerous convenient features, such as safety deposit boxes, shops, a currency exchange, and a smoking area. With tours available, the Hawaii Bali is a great spot to stay to learn about the area and see everything you can while you're here. It has air conditioning, so your stay will be comfortable. From dry cleaning services to luggage storage, the Hawaii Bali offers a range of useful services for guests to utilize. There's free Wi-Fi available in all rooms, as well as Wi-Fi in common areas, so guests won't have to spend money on buying a local sim card. With pet-friendly facilities, this property is great for guests who wish to bring their pet on holiday with them. It has a front desk that's open around the clock, so there will always be someone on call to help with any questions that you have. The Hawaii Bali offers check-in from 01:00 PM and check-out until 12:00 PM. The property offers an assortment of transportation options, such as airport transfers, car rentals, and shuttle services. With public transportation close to the property, you can get anywhere you need with ease. The nearest airports are Ngurah Rai International Airport (DPS) and Lombok International Airport (LOP), which are 2.3 km and 119.1 km away. 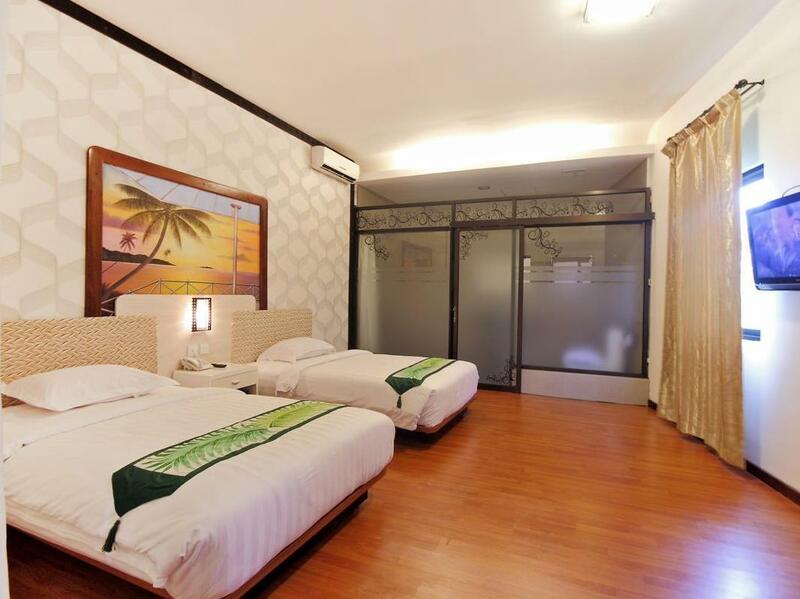 "Nice hotel near airport, easy to park, next to souvenir shop..."
I stayed overnight wanting a cheap hotel just to sleep and relax after a late flight in to Bali. able to get a dirt cheap massage at 10pm and unexpected free wifi in my room that was fast. didn't stay for breakfast but the restaurant looked very groovy. tacky fun fake trees in your room. it exceeded my expectations. fun atmosphere, circle K next door. Next to a big shopping with local products. Nice staffs. Near Mcdonald. Very nice, friendly and helpful staffs. Next to a big shop selling lots of local products from clothing, accessories to foods. Things are cheap and nice. Can buy souvenirs from there. Near to Mcdonald (24 hours) as well. Easy to get food. Nice Staff who always smile, convenience shop operating 24 hours with reasonable price, close to a souvenir shop. However my room's air-cond made some noice, this is the only bad part I had in this hotel, as for other,it is quite good and the staff is very helpful. Recommend for those who needs short stay for flight transfer. Good place to stay for one night. Lovely staff. Staff were very helpful with getting me an internet connection and printing for me. Cheap taxi fare to almost anywhere you want to go. 5 mins to airport. The room is small but its nicely decorated.There's a souvenir shop just beside the hotel and a minimart below.The hotel's tour guide/driver is very nice and patience to bring us around and help us to take pictures throughout the tour and water activities.Overall good service and friendly staffs.Everything was actually ok except for breakfast.Not much variety and no western food. Kuta beach is approx 2km from the hotel. Nice room, simple and clean. Close to the airport, recommended for one nighter too. Staff's were so friendly and helpful. There's some resto and minimarket nearby hotel. Kuta is not too far away from this hotel. Good hotel for stopover. Clean room with small shop beside hotel. No Western breakfast though, as in no milk,no bread,no fruit. And no phone reception in room. The staff were fantastic though and it was very clean. Close to airport, staff friendly, shop next door great for last minute gifts. Bathroom was a shocker... Was only there for half a day so no complaints. Bedding clean but room seemed oldish even though hotel not that old? No restaurant. Had dinner at Muslim restaurant next door. Was the only diner there that night and felt a bit out of place however staff were lovely and food was well priced and lovely. Traditional setting out the back so was good to experience. I just hope the rats running under the gazebos were not in the kitchen. yes the room was quite small but it was just enough for one night stay before early flight. We booked taxi at the reception and they called us in the morning at good time, and the taxi was there waiting. The staff were helpful. definitely recommended. great stay and great price. keep it up..
We only stayed a night (arrived midnight, left early morning) to catch our boat to the Gilis. This hotel was a convenient base close to the airport for a bed for the night and a shower. The room was cean and the staff were friendly. I can't really speak for anything else as we slept here and left early the next day. All in all, ample for a quick overnight for its proximity to the airport. My name is Mohsin Khan. I have spent 4 days here with my friend between 24-28th Sept '13. Rooms are small, small bathroom, no window and no balcony. Even swimming pool is small but good place to chill out at night with friends. Beds are comfortable and very good service. 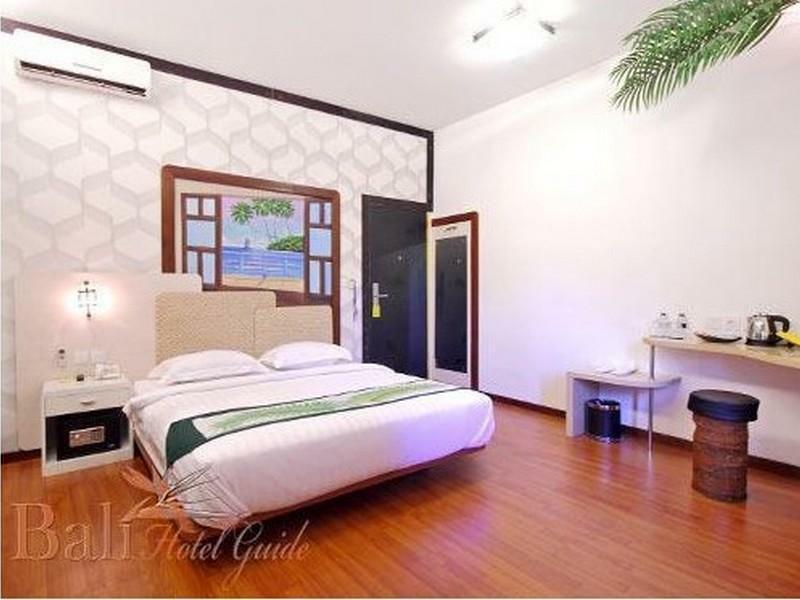 This Hotel is popular in Kuta. Good location. It is having souvenir shop which is open for 24x7 and also some restaurants and pubs nearby. They provide motorbike at reasonable price. 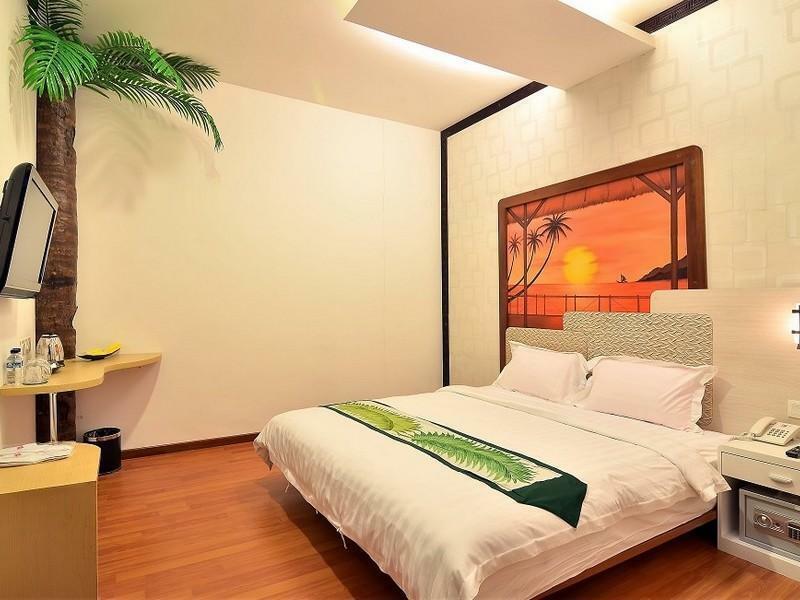 Hotel is 10 minutes drive from Kuta Beach and Legion which is best for night life (Bounty & Sky Garden). Everything was good But disappointed with the rooms. Perfect!!! No issues, check in was great, all staff helpful & friendly, although English isn't there best. Rooms are amazing hawaii themed hotel was beautiful, palm tree in our room. Clean & great high speed wifi access. I stayed a night here while waiting for my friends to pick me up on their way from airport the next day. This hotel is really easy to get from/to the airport. It was as best as a value no-frills hotel could offer - clean, modern, basic rooms. Very friendly and helpful staff. They were able to direct me to restaurants nearby. Tip: Since I was traveling solo I hired a motorcycle instead of a taxi from the airport. Cost me Rp 40000 to get to Hawaii Bali. This hotel would have been good value for money really if it wasn't for the fact that the breakfast buffet was about 1 meter from our door. If you get a room elsewhere you might be alright, but our friends and us were woken up at 7 every morning by everyone eating outside. When we requested a room change we weren't allowed. Agoda also specified a bath in the room which wasn't the case. Oh, breakfast was also terible if you're a westerner. I arrived at this hotel at midnight bcz of my delayed flight. It's very near the airport. My room is small and not beautiful as the photo. There was bad smell from the toilet. I told the staff and wanted to change the new one but they told me that was the last available room. They sent a man to help us solve that problem but nothing changed. We had to stay in that room. When i went to bed, I found some hair on the bed and on the floor as the room was not cleaned after the previous stay. But the swimming pool so pretty, and the price is affordable. very basic hotel near the airport but near nothing else. Have to drive to get to any good places as walking 20 minutes in either direction yielded nothing. wifi spotty, but it's very cheap for Bali. Just not a great area without a car. Took hotel on last minute due to flights overbooked..simple hotel with basic needs..hotel level 2 still under renovation. No eateries nearby. 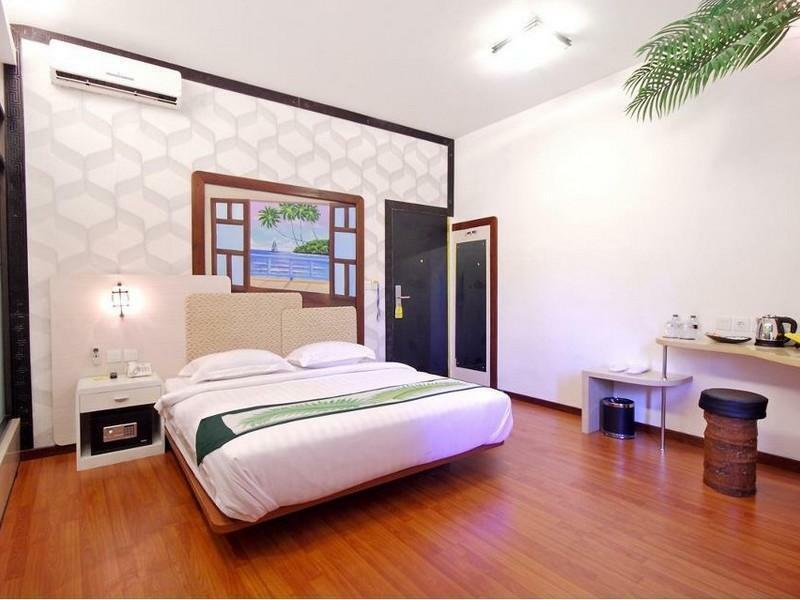 Situated on a straight road to the airport.away from the bustling legian n kuta..wifi not stable.rooms are new..staffs at front ctr do look lost.apart from a sourveiner mega store beside.. would say just a good place to stop over for a single night.for price paid was gd.